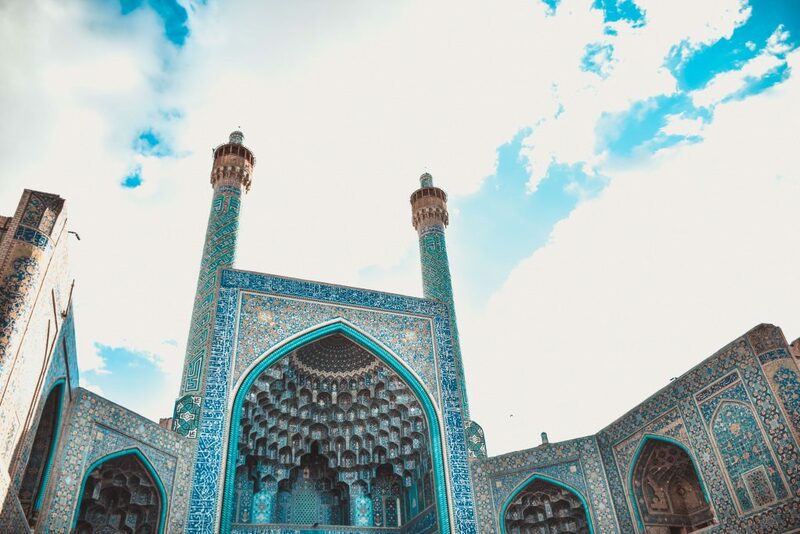 If there is a city that you shouldn’t miss in Iran, it’s definitely Isfahan. It has been twice the capital of Iran and was considered as “half of the world” and “one of the most beautiful cities in the world”. 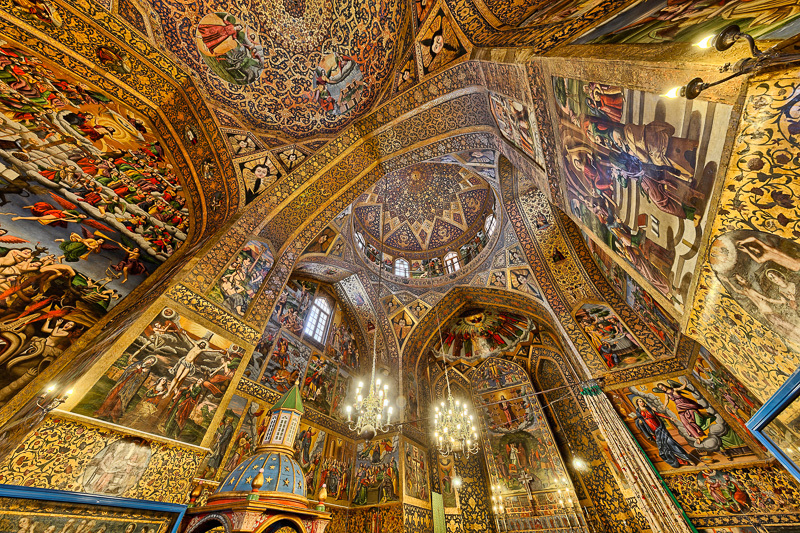 No doubt that the city is a must-see of Iran. Boasting more than 40 touristic attractions, you can stay a full week without getting bored. 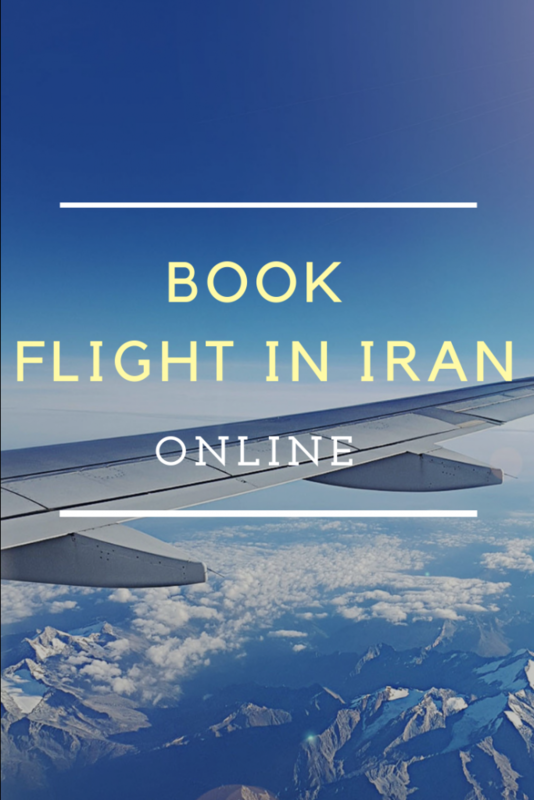 In this article, I give you numerous tips to organize your stay in Isfahan and enjoy all its attractions in the best possible way. Isfahan became one of the most important cities in the world during the Safavids era. 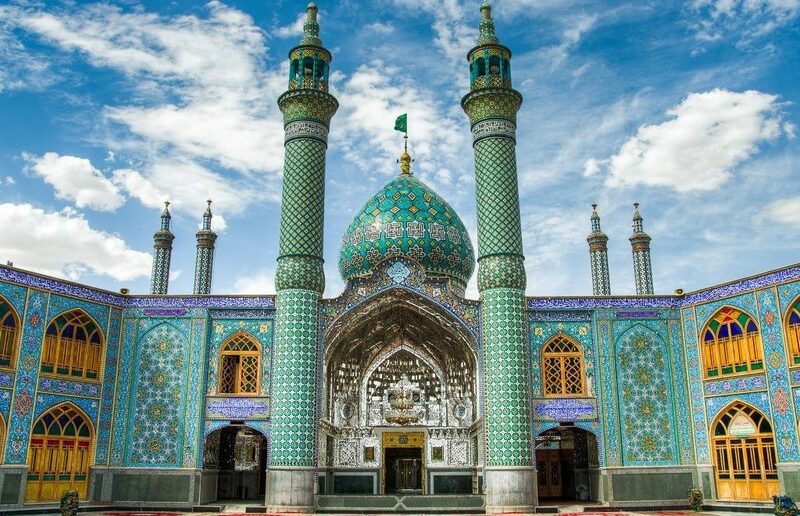 Shah Abbas the Great, threatened by the Ottomans, moved the capital of the Safavids from Qazvin to Isfahan and made the fabulous city that we enjoy today. 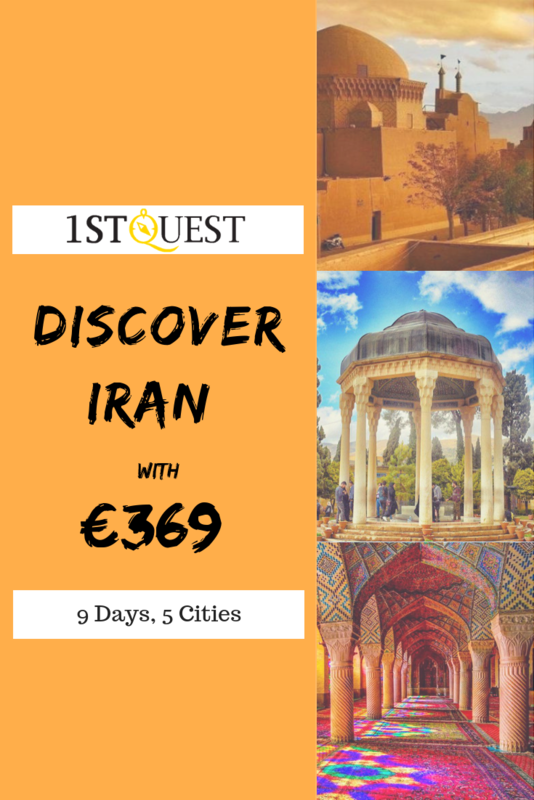 you can book Isfahan hotels easily through 1stQuest. Iran is the Islamic Republic, but it doesn’t mean that all Iranians are Muslims. Isfahan has a substantial Armenian community that dates back from the Safavids too. Head to the Jolfa neighbourhood at the south of the city, named after the tiny village situated at the border with Armenia and famous for its monastery. This neighbourhood is characteristic for the brick architecture specific from the Armenian villages of the north of Iran. Enjoy a traditional live concert at night! As you probably know, Iran is not really famous for its nightlife, at least not as generally understood. Thus, in this city, you can have a mystic experience by listening to men singing the glory of Iranian poetry. Don’t look for any bar or concert-hall but simply head to the Khaju Bridge at night to enjoy a live concert under the stars. I definitely recommend you to go to the top of the Soffe Park located on the eastern part of the city. From there you can enjoy a sublime panorama over the city. Try to be there at sunset or sunrise to see the festival of colours that bring the city to life. Don’t forget to wear warm clothes in the early morning. In Isfahan, you’ll find all you need to give an oriental-inspired style to your apartment. The city in itself is famous for the quality of its products and as it is the main touristic place of Iran you’ll easily find all kinds of Iranians handicrafts. Everything can be found in the numerous shops surrounding the Naqsh-e Jahan Square. City’s specialties include the Kalamkari, a textile printed with woodblock, different kinds of metalwork, the Khâtamkâri (famous marquetry boxes famous across the Middle-East and Central Asia) and the Minâkâri (Enamel painting), not forgetting the needlecrafts. Head to the traditional neighbourhood and its mud-made houses. 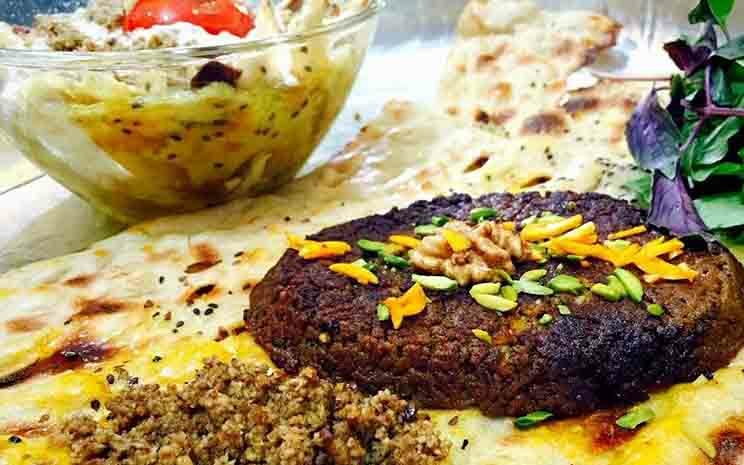 Walk around and you’ll definitely hit a local restaurant that serves some traditional meals of Isfahan. Here we are. A travel has always something to do with food. this city has many delicious delights. Enjoy for lunch the original Beryouni that some say has influenced the famous indian Baryani. A delicious piece of fried lamb mince served on delicious hot bread. Don’t forget to try the Khoresht-e mast (yoghurt stew), a traditional dish of Isfahan made of yogurt, lamb or chicken, sugar, orange zest and that is served usually as a desert. Before leaving the restaurant, fill your pockets of Gaz, the traditional sweet of Isfahan. Experience the nomad life: meet the Bakhtiari tribes. Iran is one of these countries where you’ll still find nomadic tribes. The Bakhtiari is one of them. As they walk twice a year across the Zagros Mountains between Luli in Khuzistan and Shahr-e Kord, about 100 kilometres far from Isfahan, check the calendar to figure out where they are. 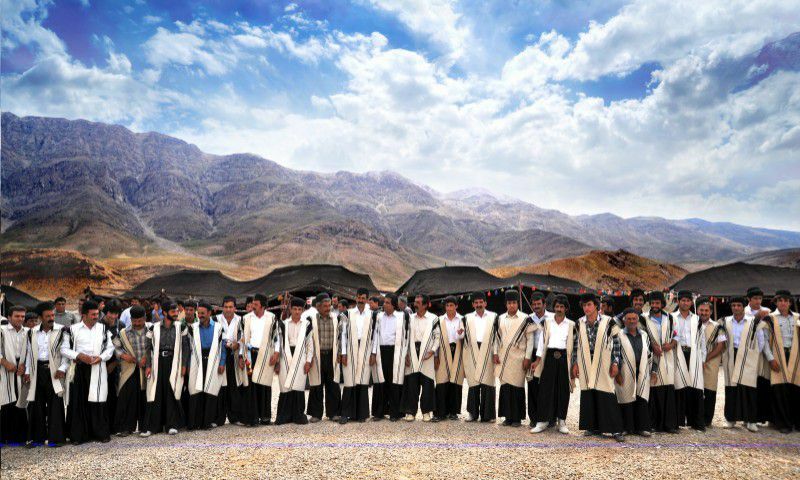 If you’re at the right time in Isfahan, head to Shahr-e Kord to meet one of the most famous tribes of Iran. Do you feel that you probably saw everything in Isfahan? You’re probably wrong; there is always something else to do. That said, if you have an adventurous spirit, I recommend you to head to the Armand River. 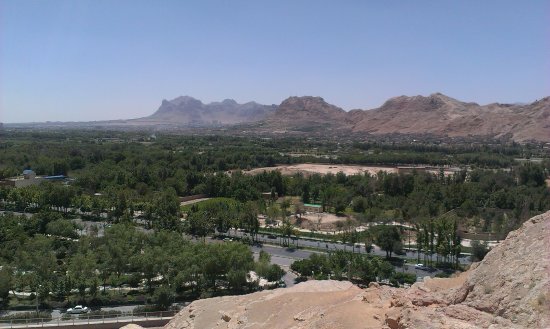 3 hours drive away from Isfahan, this place is definitely worth a trip aside. 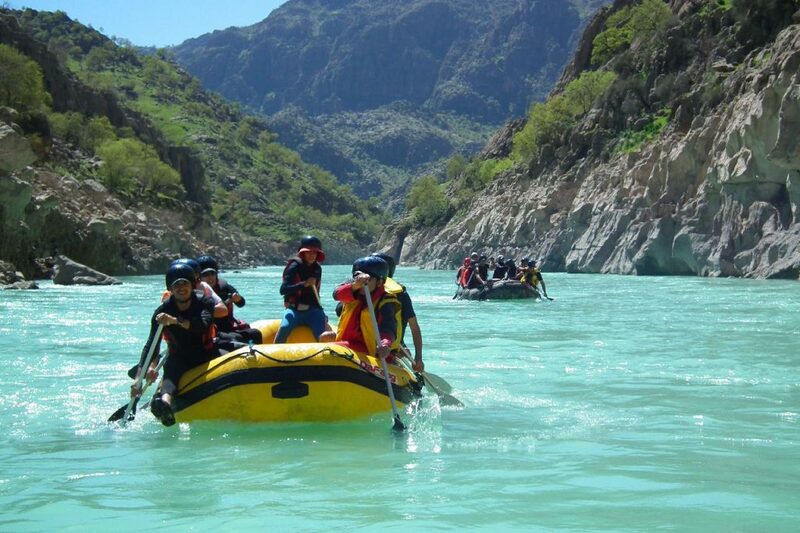 You’ll have one of your best rafting experience there. This hidden river in the middle of the desert is an unknown treasure. 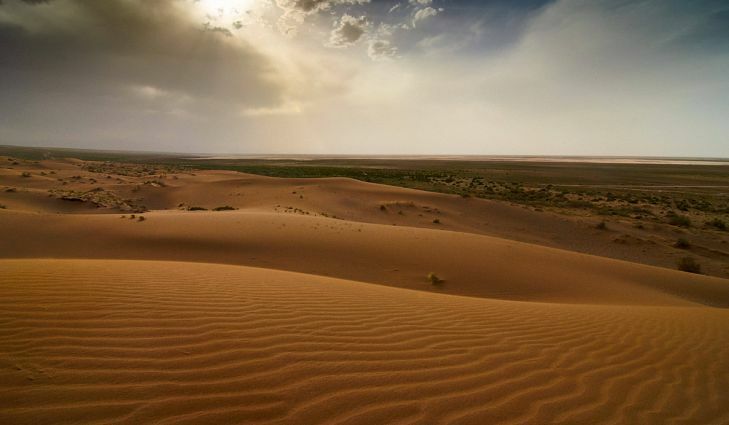 Head to the Maranjab desert to experience the pure silence. Sleep in the desert and observe the Milky Way like you never did before. 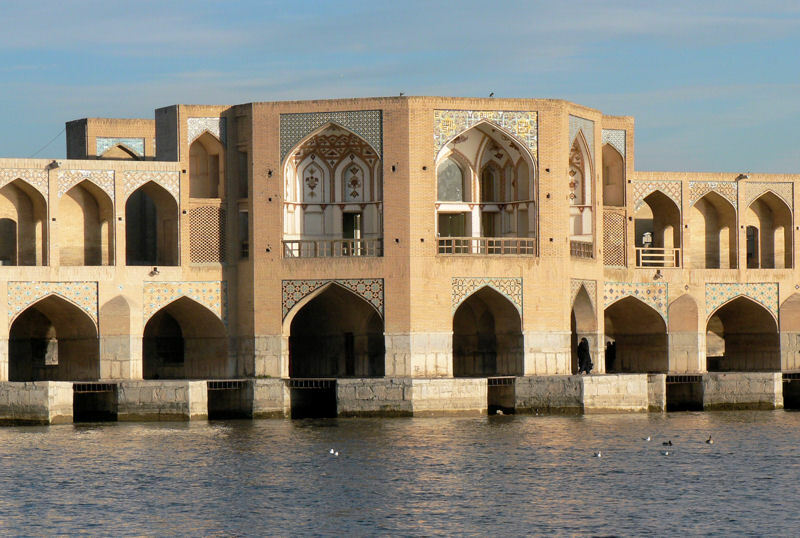 Stay overnight in the Maranjab caravanserai built in the 16th century in the company of wild camels. Don’t forget to bring your blanket. Nights are really cold. Of course, there are many other things to do and this articles is not an exhaustive list of the attractions of the city. Don’t hesitate to mention in the comments what you consider as a must in Isfahan! Hi 1stQuest, thanks for your lovely article, I always admire this beautiful and unique city. Hi Allen, you’re welcome, I’m very glad that you liked the article. 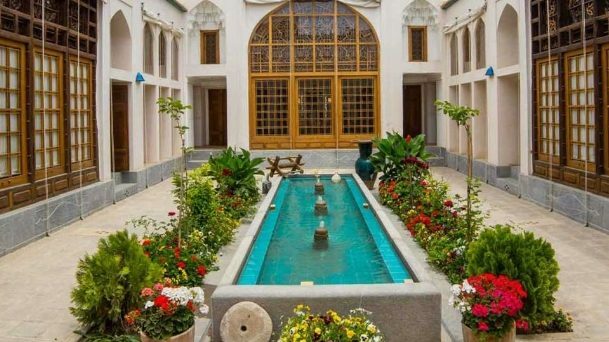 Would you please tell me what is the best hotel in Isfahan? 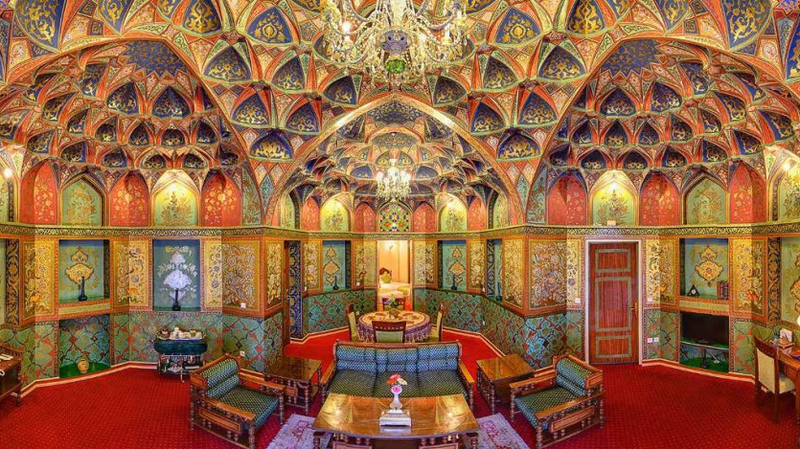 Hi Alex, One of the best hotels in Isfahan is Abbasi hotel. Hi Stephen, Yeah it’s really Exciting. Isfahan is one of the most amazing cities in Iran, I recommend everyone to have a trip to this nice city. Hi Heinrich, yeah Isfahan is half of the word! What is Isfahan famous for? It is famous for its Perso–Islamic architecture, grand boulevards, covered bridges, palaces, tiled mosques, and minarets. Isfahan The Naghsh-e Jahan Square in Isfahan is one of the largest city squares in the world.